This brand new range of bathroom taps and brassware from the top Italian manufacturer. 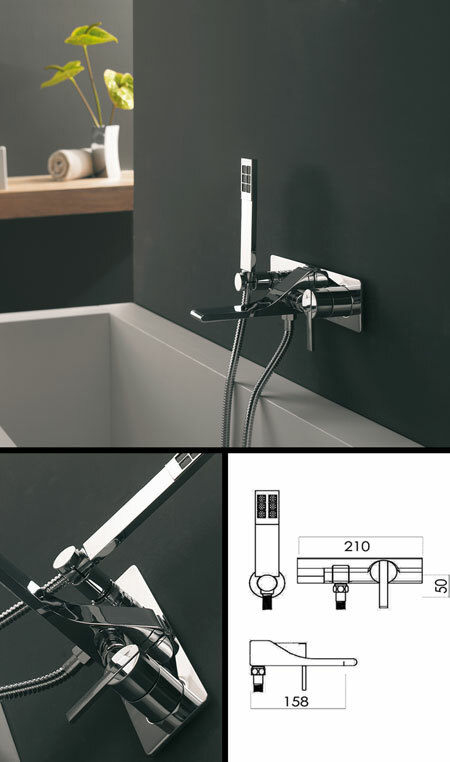 A wall mounted tap with concealed in wall fixing, this designer bath filler has a handheld shower kit for easy hair and bath washing. A luxury addition to high end bathrooms.